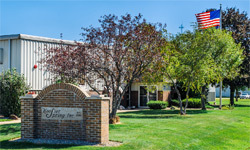 Custom Springs – Spring Manufacturer - Hoosier Spring Company, Inc.
Wire Forming Capabilities Since 1954. Hoosier Spring Company, Inc., a leading manufacturer of compression springs, is now in its third generation of specializing in the manufacture, heat treatment and inspection of precision springs and wire forms. Hoosier Spring Company, Inc. leads the industry in spring manufacturing and wire forming capabilities. Our facility operates state of the art CNC equipment. Specializing in the manufacture, heat treatment and inspection of wire forms and industrial, aircraft and aerospace springs for commercial and military applications. 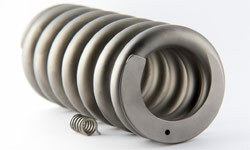 Hoosier Spring Company, Inc. is a leading spring manufacturer, producing custom springs for a wide variety of applications. We specialize in the manufacture, heat treatment and inspection of custom springs and wire forms for hundreds of the world’s top aerospace, military, nuclear (Navy and commercial), and industrial companies. Founded in 1954, Hoosier Spring Company has built a reputation as a trusted spring manufacturer specializing in superior custom springs, based on our commitment to quality and outstanding customer service. We have developed the manufacturing skills that allow Hoosier Spring Company to excel as a manufacturer of custom springs, and to meet even the most demanding job specifications. Our springs are built for high performance and precision under the most demanding conditions. Our professional engineers and experienced machinists work hand in hand with customers from planning through production to develop the perfect spring for any application. By hand coiling experimental springs to your exact dimensions and making slight alterations we can develop prototypes for any type of custom springs. Our unsurpassed quality control systems have earned Hoosier Spring Company a longstanding reputation for excellence as a spring manufacturer.